Telltale Games is probably best known for developing exceedingly popular point-and-click adventure games such as The Walking Dead and The Wolf Among Us. In recent months, Telltale Games has been teasing an enormous project through their official website and Twitter page, but the developers never went into much detail about what that project could possibly be, until earlier this morning at E3. The Walking Dead will be making another come back, and it will be featuring a very familiar face. This new story will be following Michonne, a character from both the comic book series and the even more well-known TV show. 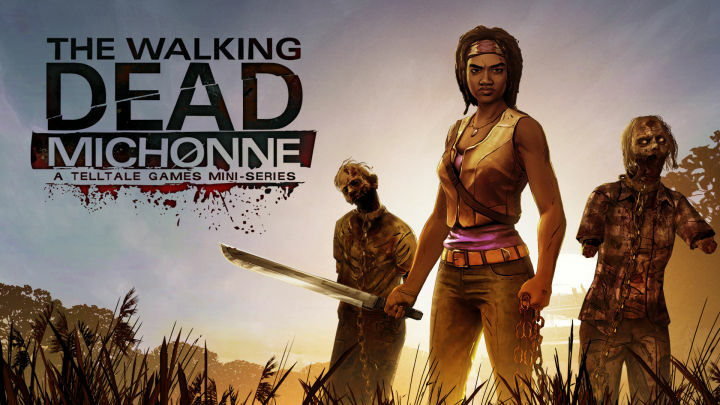 The Walking Dead: Michonne will be available this fall on the Xbox One, Xbox 360, PlayStation 4, PS3, PC, iOS, and Android. According to Telltale, players must possess a copy of the first episode of The Walking Dead: Season Two to access the upcoming miniseries. Apparently, this adventure takes place between issues #126 and #139. As stated by an article from IGN, several notable comic book characters will be making an appearance throughout the episode. While this is very exciting news, it makes me wonder who will be making an appearance. While I am a loyal fan to both Telltale Games and The Walking Dead, I have a few issues in regard to the upcoming miniseries. Personally, I would much rather play as Kenny or even another character from season one or two. In a sense, I have made a connection with these characters, so I am extremely disappointed I will not be able to play as one of them. All in all, I am excited. Similar to episode 400, I expect this to be integrated into the series in later episodes. Despite the news, I am still patiently waiting for the next episode of Tales from the Borderlands. How many of you will be purchasing The Walking Dead: Michonne? Leave your comments down below.